Happy Friday friends! 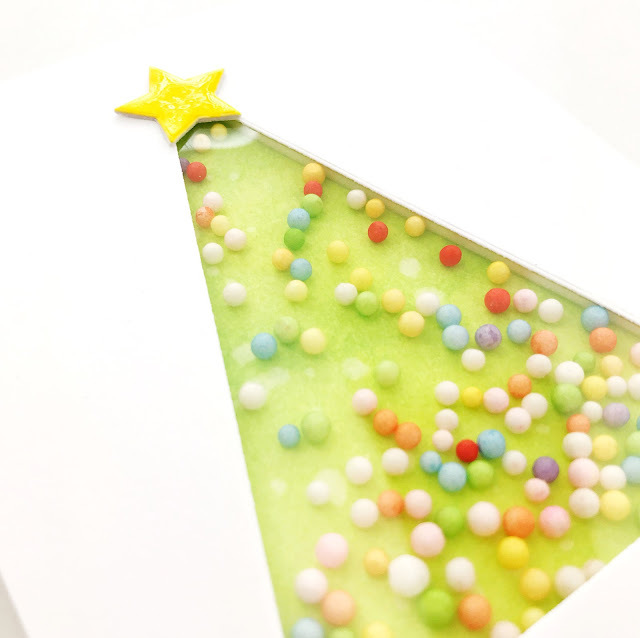 I'm over on the Honey Bee blog today with a Christmas tree shaker card. Come on over and say hey! 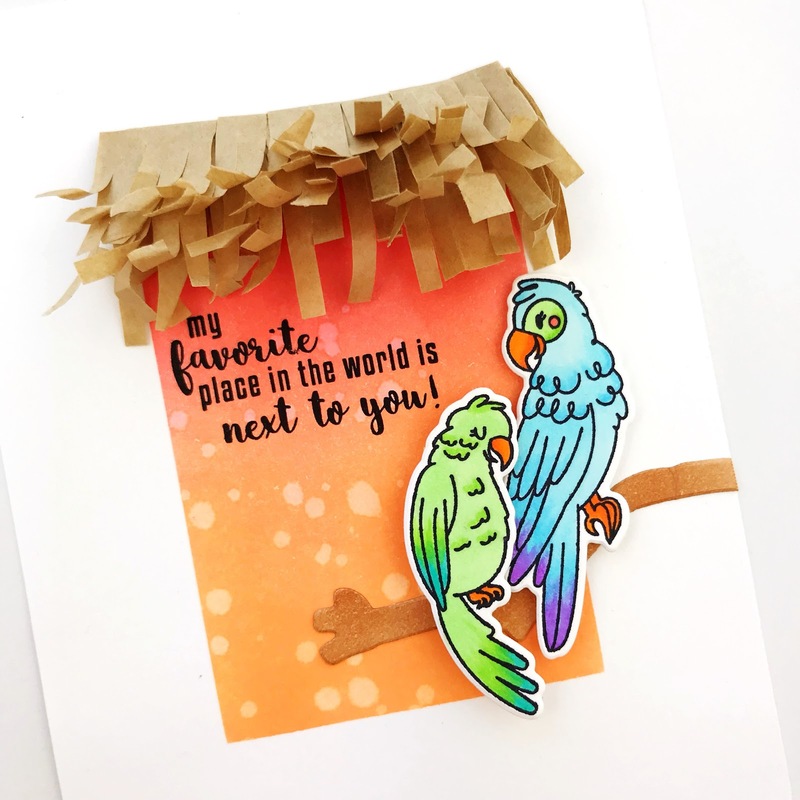 The sweet tropical birds from the United We Flourish Better Together set have always reminded me of Disney's Tiki Room so I had to create a tiki birds card! 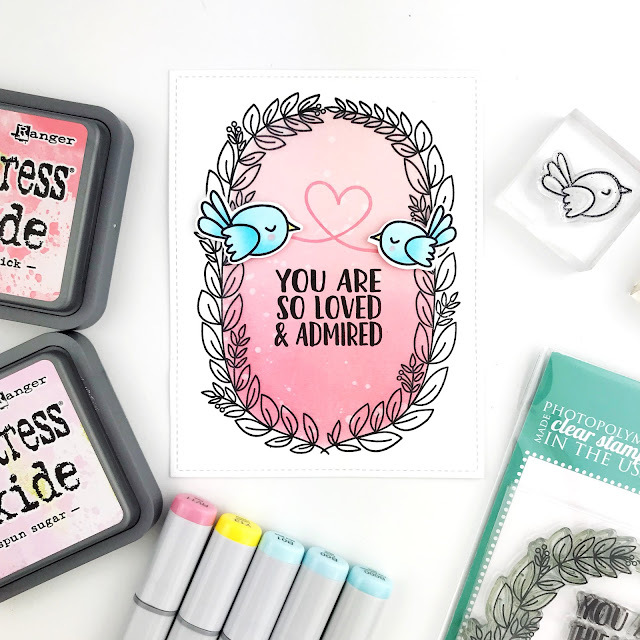 And in case you want to pick up this stamp set, the whole United We Flourish collection is 30% off right now in the Ellen Hutson shop. You can see the collection here and use the code UWF30. 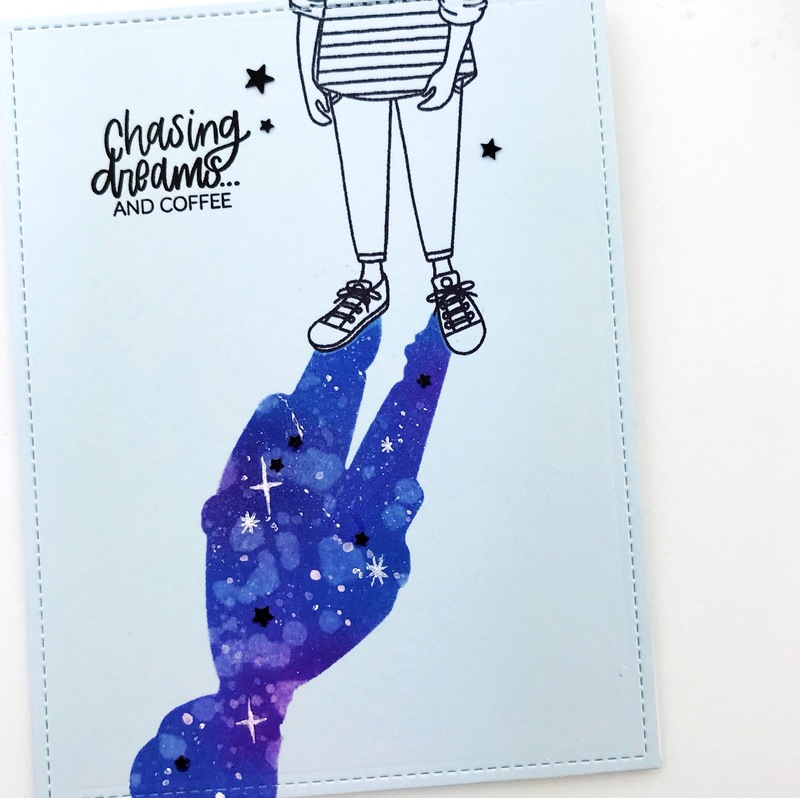 Masking and ink blending are some of my favorite stamping techniques and they are amazing for creating a starry shadow! I am so very thrilled to be joining in day 2 of Rubeena's anniversary! 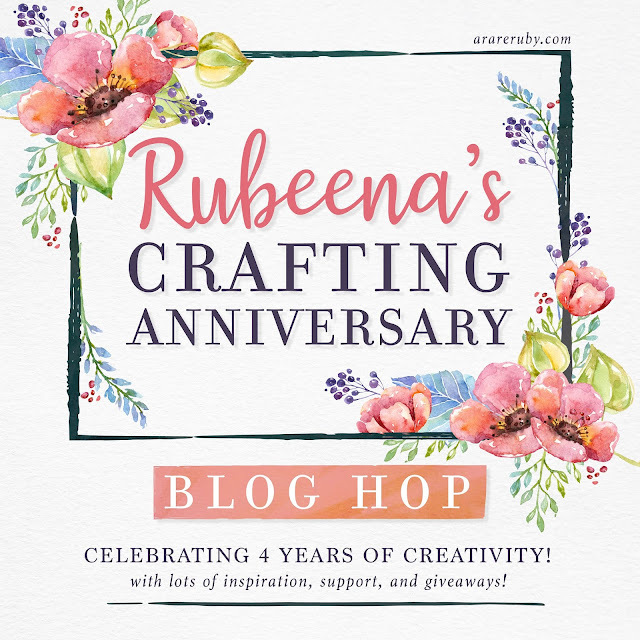 Rubeena is not only one of my biggest sources of crafty inspiration but she is also such an amazing cheerleader! I love how she spreads so much love & kindness! Thank you for being a brilliant light Rubeena!!! 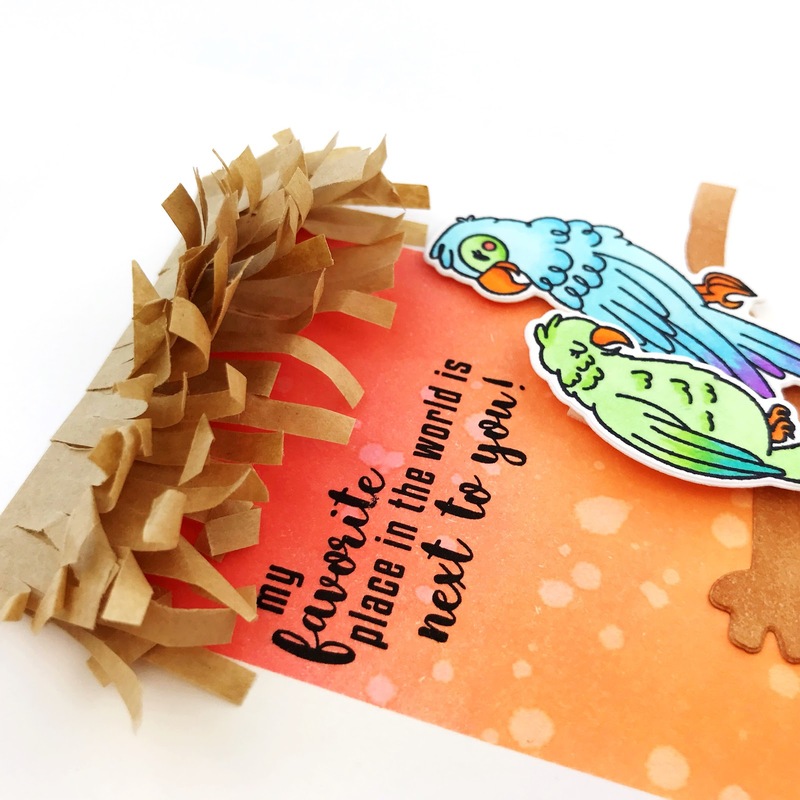 In the spirit of love & light, I created a card that was inspired by the abundant talent of artist Penelope Dullaghan. I highly recommend you check out her work because you will be completely inspired! Her piece "Universe In My Shadow" struck a cord with me. I don't consider myself an painter or illustrator but sometimes I'm very moved to recreate something with my stamps & dies. Thanks so much for stopping by & have a great day! 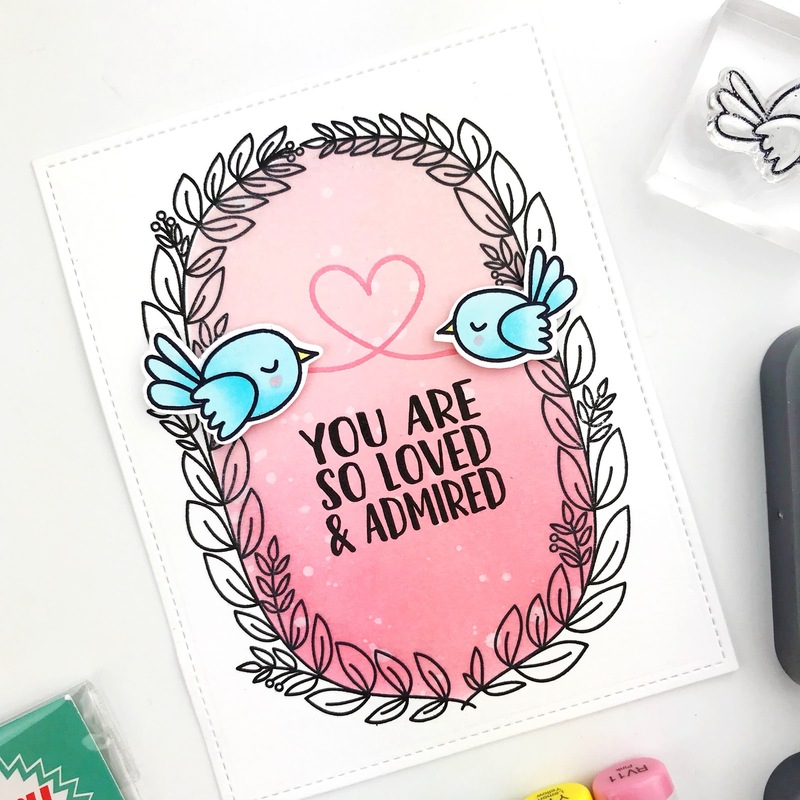 Is there ever a bad time to remind someone that they are loved and admired? 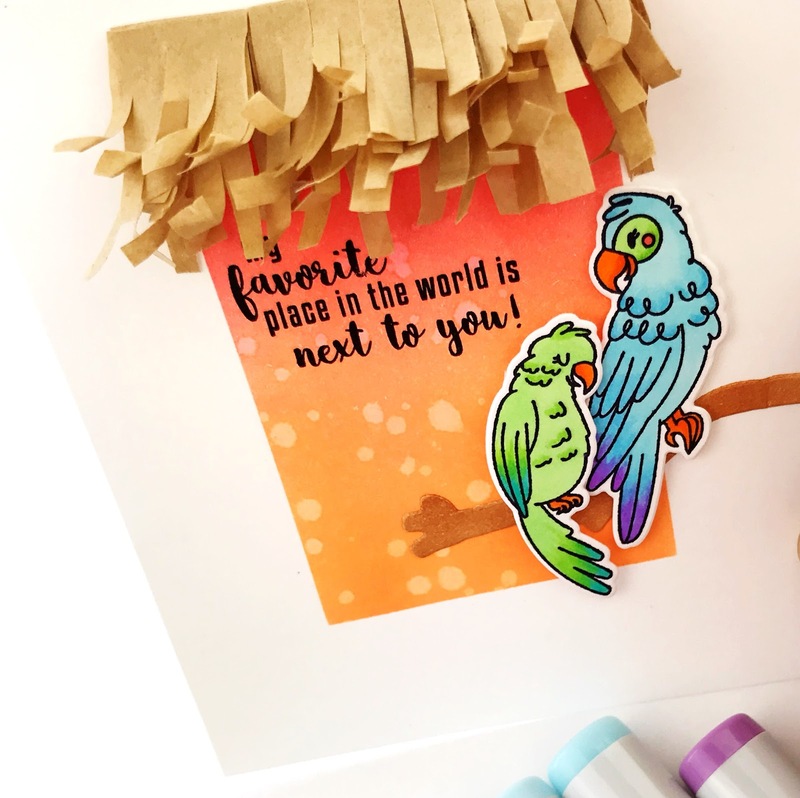 I think not so send a card! I wouldn't mind hearing it myself on the hour, haha! Mostly kidding! To create this card, I pulled out one of my favorite Avery Elle sets and one that had been sitting unopened for almost a year (gasp)! I stamped the leafy frame first, leaving the stamp in my MISTI. Then I masked the outside of the frame and did a little ink blending with Distress Oxides on the inside. 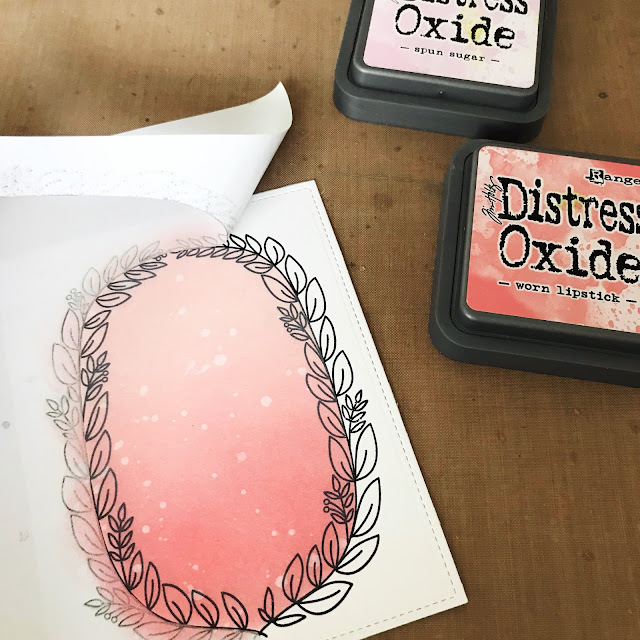 I placed the panel back in my MISTI and stamped the leafy frame again to cover the chalky finish of the Distress Oxides. Then I just added my sentiment and sweet little birds. 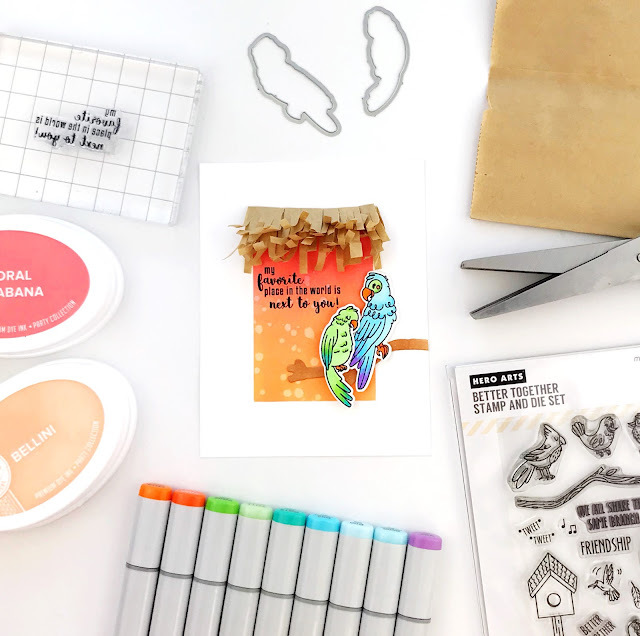 And you know what those little birds told me? 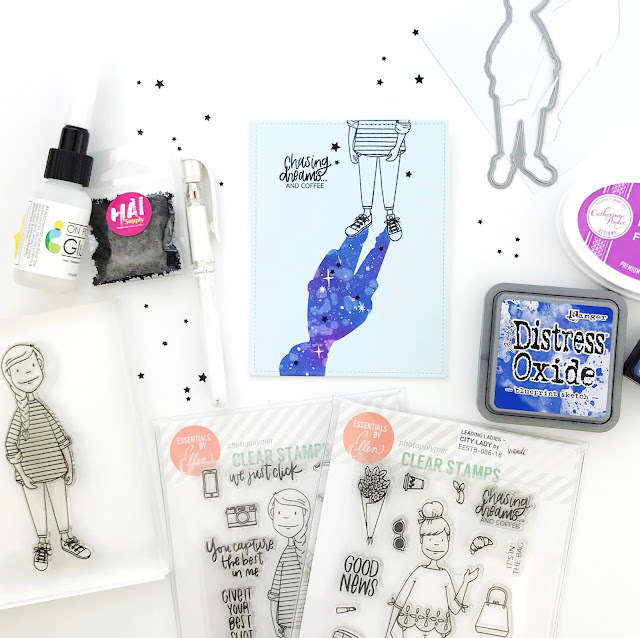 There's an Avery Elle sale over at Ellen Hutson! 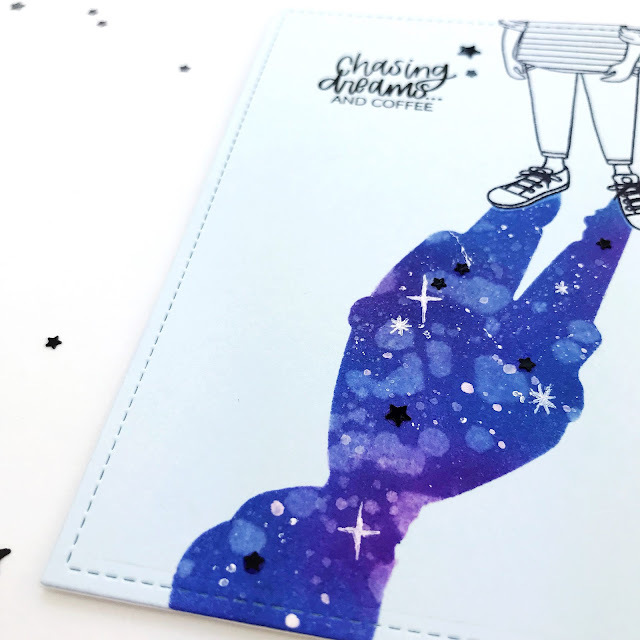 There are some awesome stamps and their NEW Christmas release so make sure to check it out HERE and use the code meetavery.